Personal genomics company Helix recently entered two separate collaborations aimed at helping consumers better understand the genetic underpinnings of health and disease. The first collaboration with life sciences tools company Perkin Elmer will see the two companies work together to develop exome sequencing-based tests to identify diseases and conditions with a genetic basis. The second partnership has Helix working with NorthShore HealthSystem to develop methods to stratify risk for developing disease and chronic conditions. With PerkinElmer, the two companies’ initial product development efforts will focus on sequencing the 59 genes that the American College of Medical Genetics and Genomics (ACMG) has identified as highly penetrant of specific genetic conditions whichhave interventions that can significantly reduce morbidity and mortality. “Together with PerkinElmer, we will launch the first product that contains all actionable genes identified by the ACMG guidelines, offering consumers unprecedented access to insights about their own health,” said Justin Kao, Helix co-founder and senior vice president, in a press release. 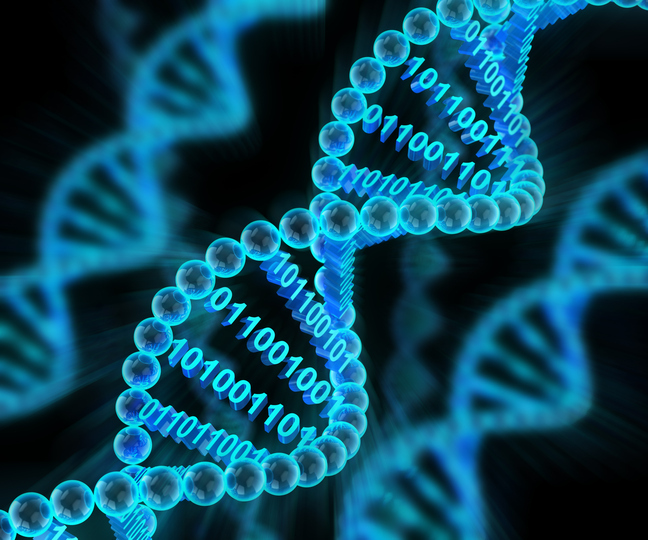 Helix will provide the DNA data generation under the collaboration at its All DNA sequencing data for these products will be generated utilizing Helix’s at its CLIA- and CAP-certified next-generation sequencing laboratory using its Exome+ assay. PerkinElmer will then provide data analysis and interpretation which can then be delivered to the individual who ordered the test. “The Helix platform, powered by their Exome+ assay, provides panel-grade quality in critical regions like the ACMG 59 as well as unparalleled flexibility for us to expand into additional products in the future. We strongly believe that, when presented and used appropriately, genomic information can help people and their physicians proactively inform important health management decisions,” said Madhuri Hegde,M.D., VP and CSO for laboratory services of PerkinElmer’s Diagnostics business group. NorthShore University HealthSystem (NorthShore) and Helix, a personal genomics company, today announced a partnership to develop products leveraging risk scores to better understand and stratify risk for chronic conditions and disease, starting with a risk score for prostate cancer. The collaboration with NorthShore will initially focus on developing prostate cancer risk scores. NorthShore has done considerable research to validate and demonstrate the utility of the risk score in clinical care, and works with leading clinicians to develop products that have real clinical need. Helix’s clinical-grade exome sequencing capabilities will enable NorthShore to update the risk score with additional markers as new discoveries are made. This partnership allows both Helix and NorthShore to tailor product development to address unmet needs with the common goal of advancing personalized medicine. All product offerings from both collaborations, will be available through Helix’s online store and will require clinician approval. Expanded offerings involving additional genes and whole exome analysis are also planned for development in the future. Unlike other personal genomics companies that require a separate DNA sample for each product they provide, Helix collects and sequences a DNA sample once, and then securely stores and protects a customer’s exome data so they can access additional DNA-powered products and services from the Helix store without providing another saliva sample.